Royal Haircut. A Prince William. Not a Prince Albert. That’s something very different! 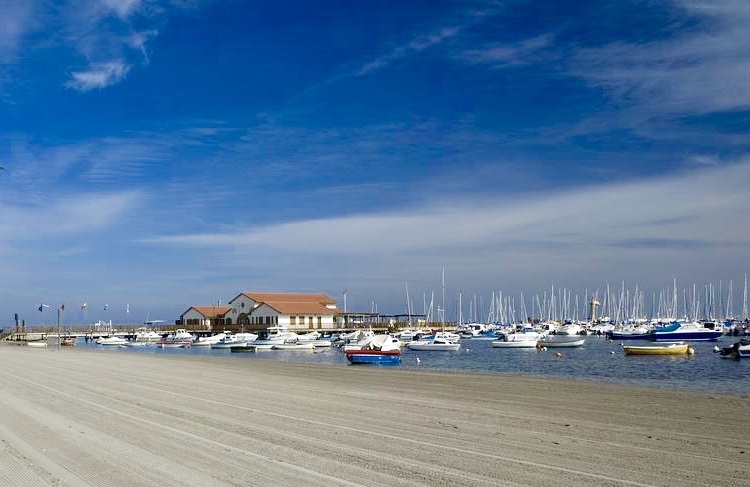 La Manga. People love it. Not everybody though. Especially in January. We went to La Manga to meet some friends who are staying there and when we got there it was closed! Try coming here in August and there are crowds everywhere, but we went past so many empty apartment blocks and hotels I started to sing ‘This place is getting like a ghost town’ until G threatened to put me out and leave me at the side of the road unless I stopped singing. I switched to ‘any old iron’ instead which is much more annoying. We found our friends, it wasn’t hard as there were hardly any people about. They were talking to the most miserable people in the world who were parked up on a beach in camper vans. We like camper van people, but this lot were awful. Can’t even blame the Brits either who are normally the most miserable campers of all as there were no GB badges to be seen. Eddie, our friend, (a retired musician , orchestral, not heavy metal) said, ‘we thought these people might know you as you’ve done so much travelling in camper vans.’ G told him we don’t hang around with people who are miserable. One of the women was really staring at me and I said to G she was making me feel very uncomfortable. He pointed at the little girl playing in the sand right behind me and said ‘I think she’s looking there, not at you’ and of course she was. Our friends took us to look at a bridge and we had to pretend to be fascinated. It’s a really, really steep humped back bridge at the far end the ‘strip’ that a developer wanted to be just like Venice, but it’s not exactly the Bridge of Sighs in Venice. 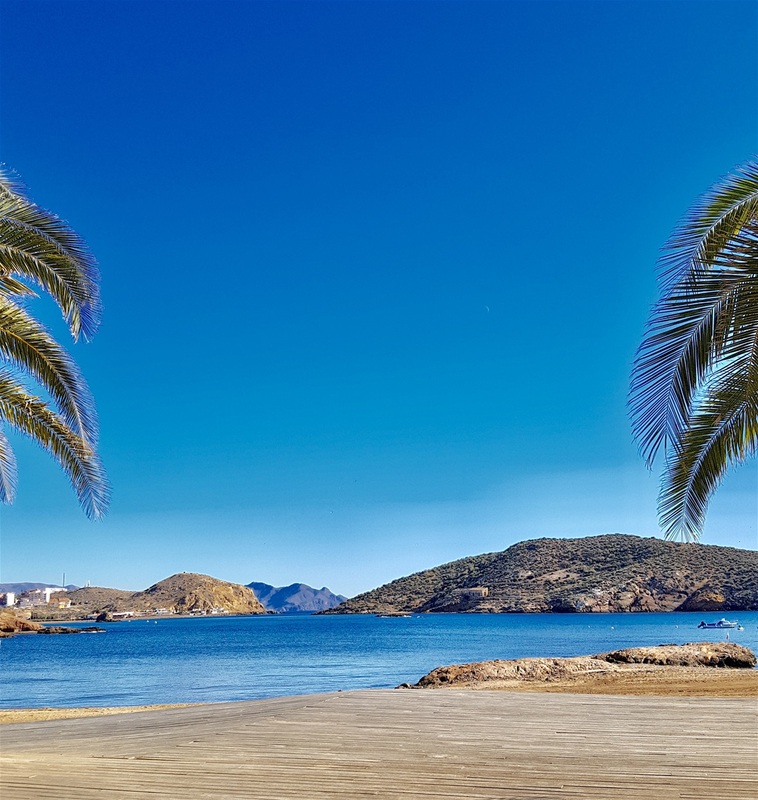 La Manga is a weird place as it is on a very narrow strip of land between the Mediterranean on one side and an enormous lagoon, a bit like Lake Como but nowhere near as pretty, on the other. If you stand in the middle of the road you can see both ‘seas’ as they are only about twenty yards apart in places. I stood in the middle of the road for ages as there was no sign of any traffic. I saw a shop that looked open so I shouted, ‘stop,’ which was rather dramatic. I went in to ask if they knew any restaurants that were likely to be open. Everything on sale was from Poland or Romania, which was interesting and a bit of a surprise. 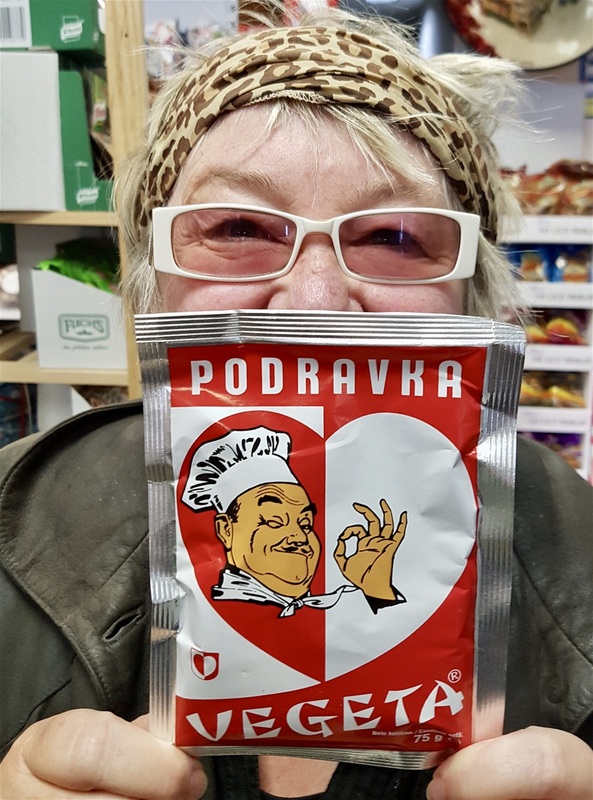 I found several things we’d eaten when we were in Eastern Europe and shouted for G to come and look. He was very patient and even took a few photos while I posed with things off the shelves. Our friends already think we’re a bit odd so they weren’t surprised. We found somewhere to eat, eventually. 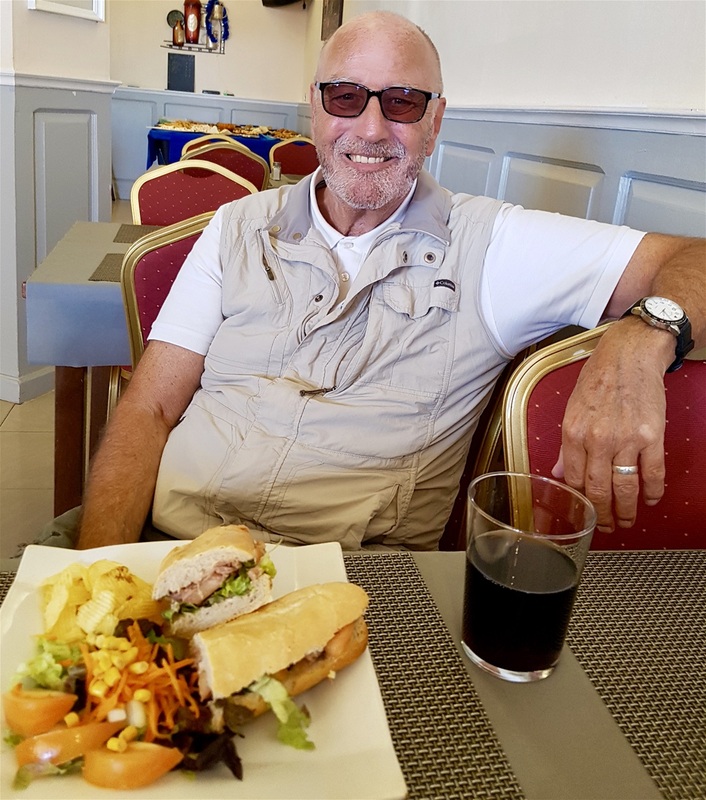 I found a really nice place with a huge terrace that was open, but when I asked the man if he was serving food he looked a bit worried and said no, but he had three different flavours of crisps. We’d already been to a lovely restaurant where our friends had eaten before, it was in the shape of a boat, but of course it was closed. The people running the bar were English, from Devon, and had been in business there for ten years. We were dreading the offer of an all day full English breakfast, but the food was very nice. Just as well as I was at risk of entering a ‘grumbly’ state. Recently found out we were very law abiding over Christmas. Oliver Cromwell passed laws forbidding gluttony on Christmas Day - no Christmas pud, no mince pies – and those laws were never abolished. Mind you, we do make up for it in the rest of the year. I also read recently that King Richard II really knew how to celebrate Christmas. Apparently, his Christmas Day guests in 1377 had to make do with 28 oxen and 300 sheep as a main course washed down with many gallons of wine. Trifle wasn’t mentioned. No wonder Oliver Cromwell felt so strongly that the ‘real meaning of Christmas’ was getting put to the back of the queue. There was a dog hanging around looking hopefully at everyone and obviously hoping for scraps. The woman who owned the bar said he belonged to the people next door but he came to her bar straight after he’d had his breakfast and stayed all day. His name was Rocco and the bar woman said Rocco was the patron saint of dogs. That sounded very unlikely so I looked it up later. I thought St Francis would be the ‘dog’s saint’ as he is the patron saint of animals, but it was true. Saint Rocco, or Saint Roch as he is called in some countries is the patron saint of dogs! So there. If you want to pray for a lost or poorly dog though, pray to Saint Anthony. A lot more involved than I had imagined. A group of four middle aged people came and sat at the table behind us and one of the men pushed his chair right back so I had hardly any room. Of course I didn’t say anything, but it got even worse when he kept burping really loudly. I wanted to shout ‘Settlers’ or ‘Tums’ really loudly at him. We wandered around a fair bit after saying goodbye to our friends, visiting beaches. This is the Costa Cálida, the warm coast, and we saw several people swimming in the sea. Not New Year’s Day Fancy Dress swimming either, but ‘proper’ swimming. I had a paddle at a lovely beach called Calblanque and the water was quite warm. G waded in a bit further and said it was ‘just about’ warm enough to swim, but only just. He didn’t go in any further though. Said he was just being sensible as we didn’t have a towel with us. I think his Prince William haircut is the real reason. Didn’t want to get his head wet. Calblanque is a lovely place. Very peaceful and very popular with nudists, but only one there today, a very fat man who looked like Winston Churchill. Did anyone ever imagine Churchill would look attractive without his clothes on? I don’t think so. We seem to go on rather a lot of nudist beaches considering I am the very last person to ever want to run around naked, but nudists like quiet beaches in out of the way spots and so do we. There was a sign up telling people to ‘respect’ the sea turtles, but we didn’t see any. Perhaps the naked Winston Churchill had frightened them off. We went to some other places, but G will have to tell you the names as I was sitting in the passenger seat and it’s the driver’s job to remember the names of places. Unless I’m driving. Not every day is perfect. Some days are, let’s face it, crap. We had one of those days on Monday. We went to La Manga to meet up with some old friends. 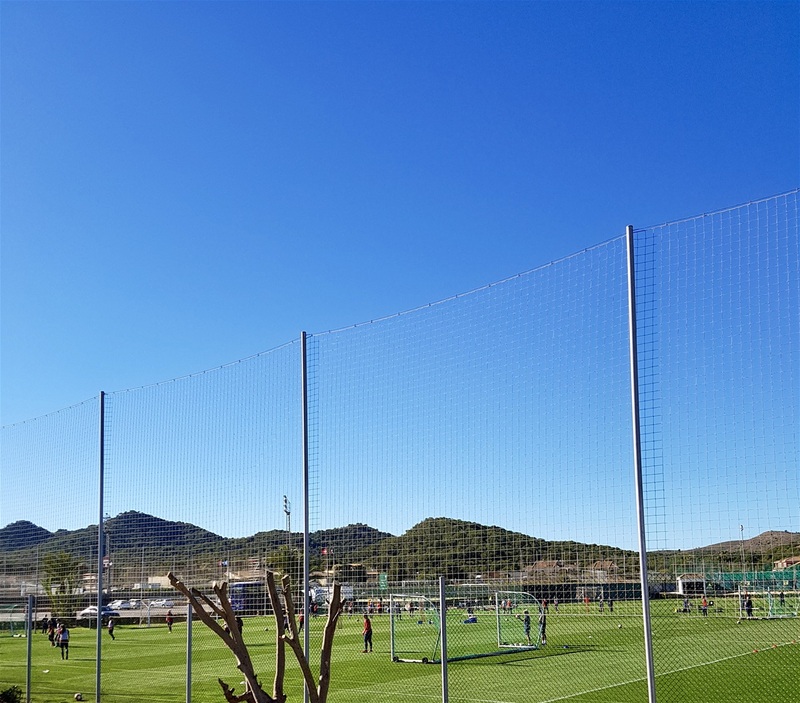 We’ve been to La Manga before and we thought then it was both ‘interesting’ and ‘awful.’ On this visit, we just thought it was awful. Spain is the least densely populated country in Europe, with plenty of wild and wonderful open spaces, deserted beaches, craggy peaks and areas that resemble a lunar landscape and we love them all. Then there are places built around tourism such as Benidorm. Add La Manga to that list. The interesting part is in its situation: a narrow strip of land, about 14 miles long but very, very narrow in places, so narrow you could stand in the middle of the road and throw a pebble into the water on either side. Marigold tried to demonstrate this at one point, but her throwing skills appear to have deserted her! 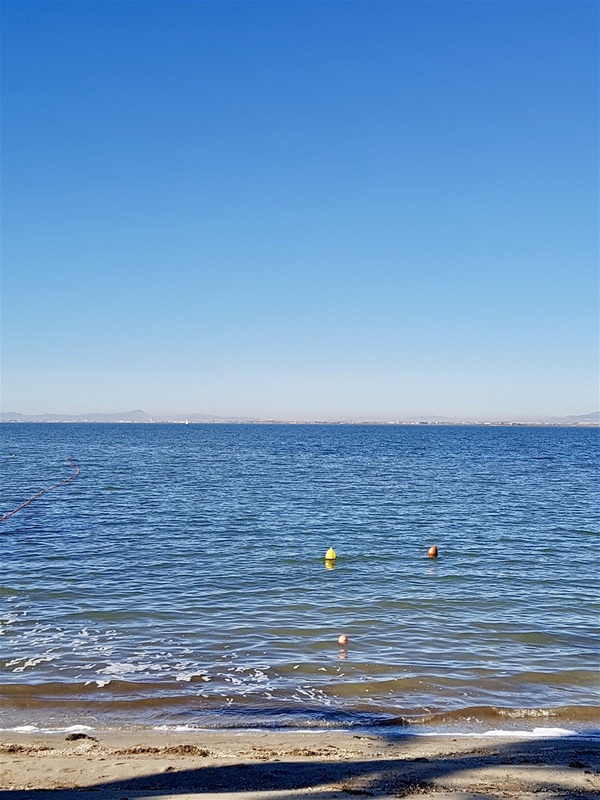 This tiny ribbon of land separates the Mediterranean Sea from the Mar Menor, a saltwater lagoon which is the largest in Europe, over 100 square miles of it. There are natural channels that keep the two ‘seas’ in contact with each other; these so-called ‘golas’ allow water to pass from the Mediterranean into the lagoon. 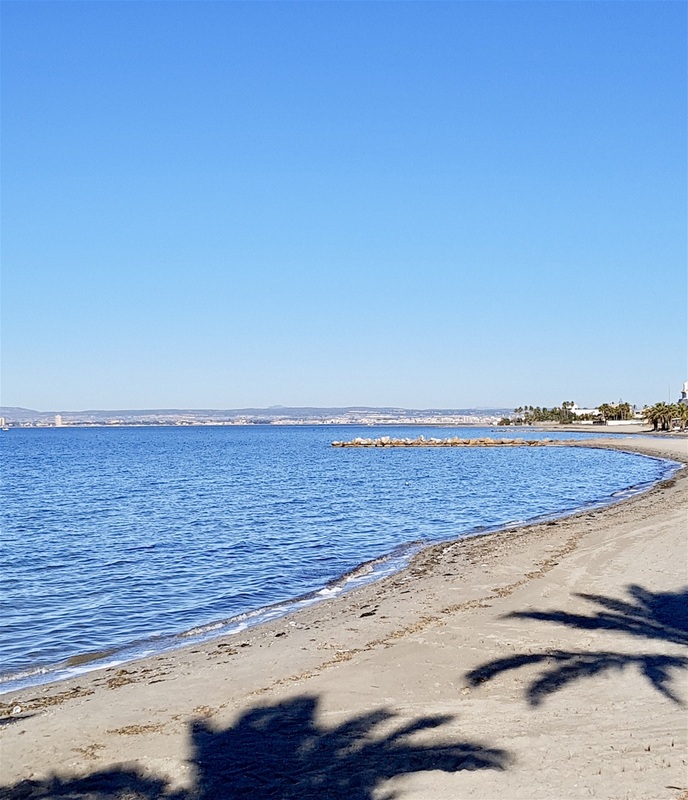 This strip of land known as la Manga (the sleeve) encloses the Mar Menor (small sea) which is vast, but fairly shallow so the water is warm all year round. I swam here one summer and it was like swimming in a bath tub. 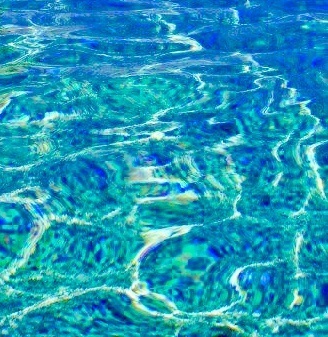 The water is incredibly salty, very rich in minerals and, as I confirmed today, warm enough for swimming. I walked ‘across the road’ and dipped a toe into the Mediterranean for contrast. Not ‘cold’ as such, but nowhere near the temperature at which swimming becomes a pleasure not an ordeal. 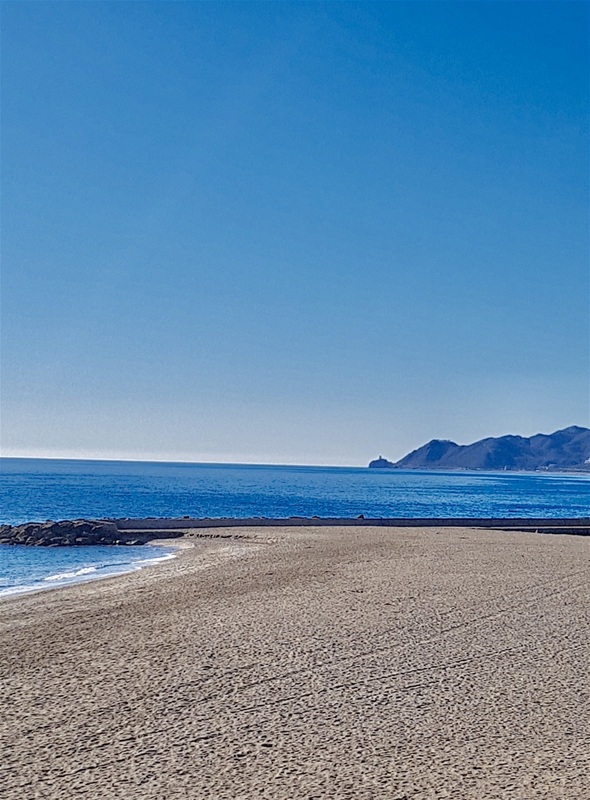 It was very hot, record high temperatures for January in Murcia Province, but we were driving along empty roads and the beaches were deserted. We saw more people in Ghost Towns in the Arizona desert. Until the 1960s this strip of land was uninhabited. Not any more. The only road is now hemmed in on both sides by towering hotels and apartment blocks, each as featureless and hideous as the next. In the summer, the place is packed, the hotels are full, the road is one long traffic jam and the traffic fumes are a nightmare. I speak from experience as the last time we were here was in mid summer and we both agreed it was somewhere we should avoid in the summer months. 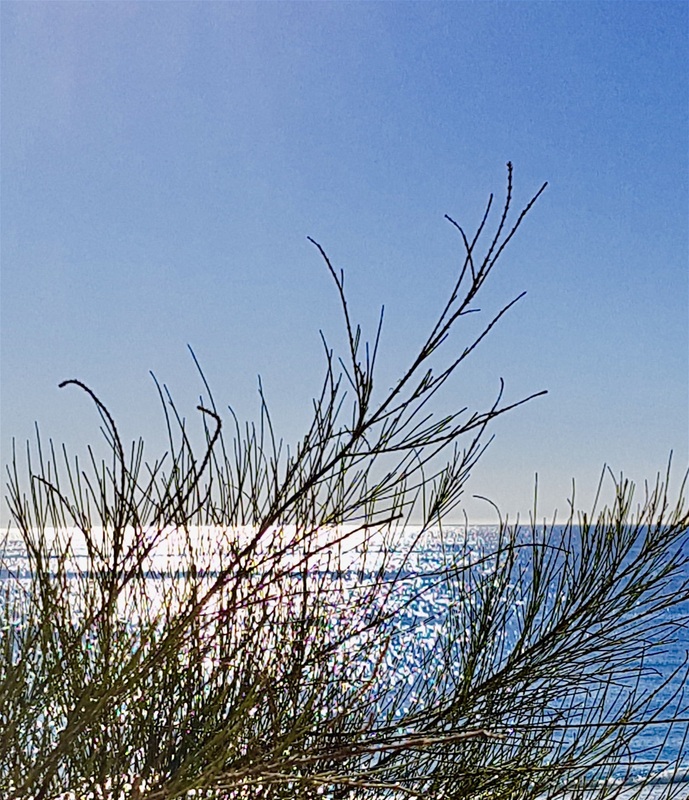 The sun shone, glinting and sparkling on the deep blue Mediterranean on one side and the placid waters of the vast lagoon on the other, but there was nobody there to enjoy the sunshine. 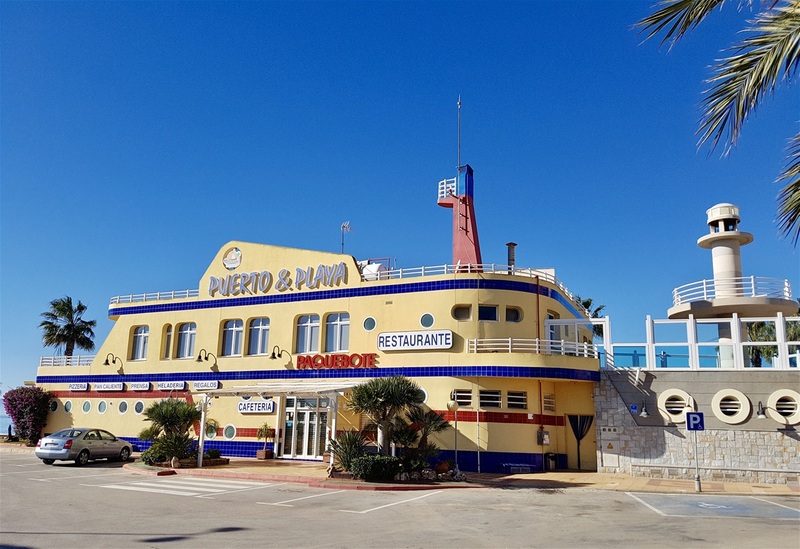 Any resort, out of season, can be a pretty grim place, and we’ve been to a fair few of those, but never felt so depressed as we did in La Manga. 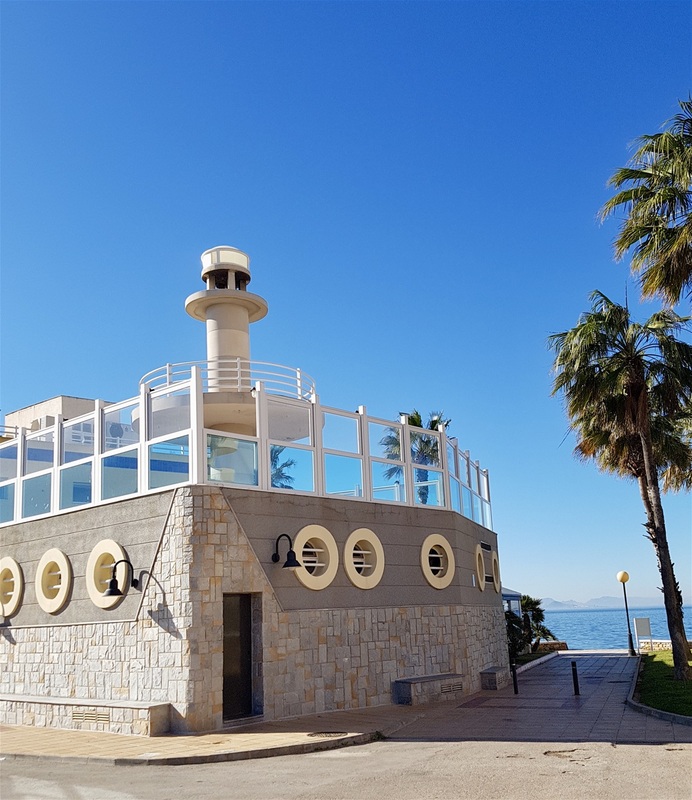 In mitigation, the fact that it didn’t even exist as a town until the mid 60s means that La Manga inevitably lacks old buildings or quaint winding streets to give it what we tend to call ‘character,’ but I’m only giving a personal view as many visitors return here year after year and love it. Even the camper van community, parked up in what looked an idyllic spot overlooking the Mediterranean were miserable. One van had a sign saying ‘Noli Me Tangere,’ which we took to mean keep away from me and my property, but the scowl on the face of the van owner made the sign redundant. There were good parts too. We saw another sign, on a café that was closed like almost everywhere else, that said ‘How beautiful it is to do nothing, and then rest afterwards’ which appealed to me. 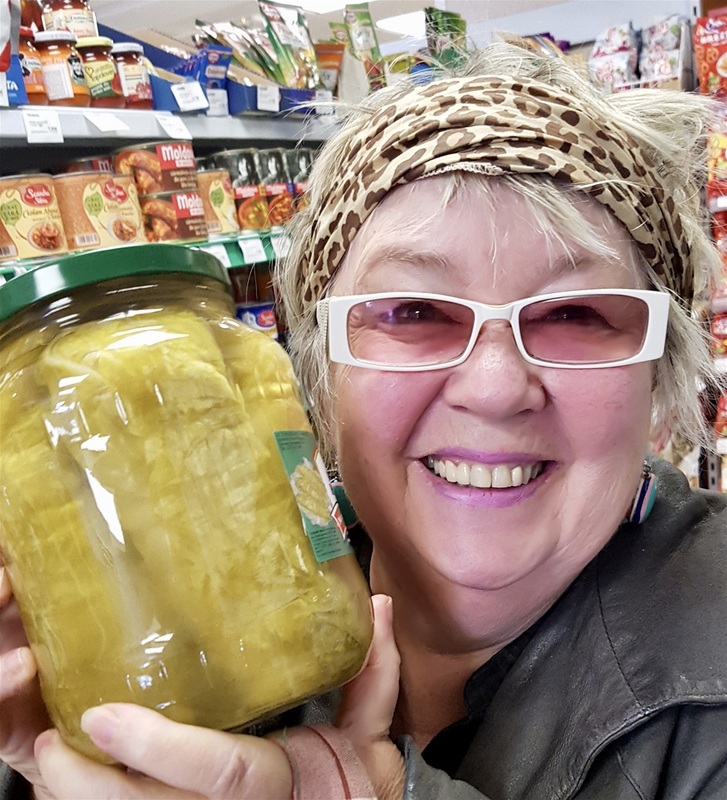 The ‘special’ – on days they were open - was something I couldn’t decipher containing ‘humus,’ which is the dark organic matter that forms in the soil when plant and animal matter decays. Presumably, they meant hummus. If not, I was glad they weren’t open. When we finally found somewhere that sold food, the people on the next table sat really close. That was bad enough, but the one sitting right next to Marigold kept making certain noises which the rest of us found amusing. We couldn’t decide on the correct term: belching or burping? I decided his frequent interruptions were ‘eructations,’ which is what one of the teachers at my school used to say when one of the class ‘lapsed.’ I remember the word very well, as a frequent offender. It was lovely to see our friends and we had some real laughs in their company. Nobody admired my new haircut though, even though I was somewhat more hirsute last time we met up. I like it as it’s not exactly difficult to manage and I use far less shampoo. One slight annoyance is finger combing my hair when I get up in the morning, even now it’s no longer there. It must be a similar effect to that form of neuropathic pain often called phantom limb syndrome when an arm or a leg has been removed because of illness or injury, but the brain still receives pain messages from the missing limb. On a far less serious level, obviously. 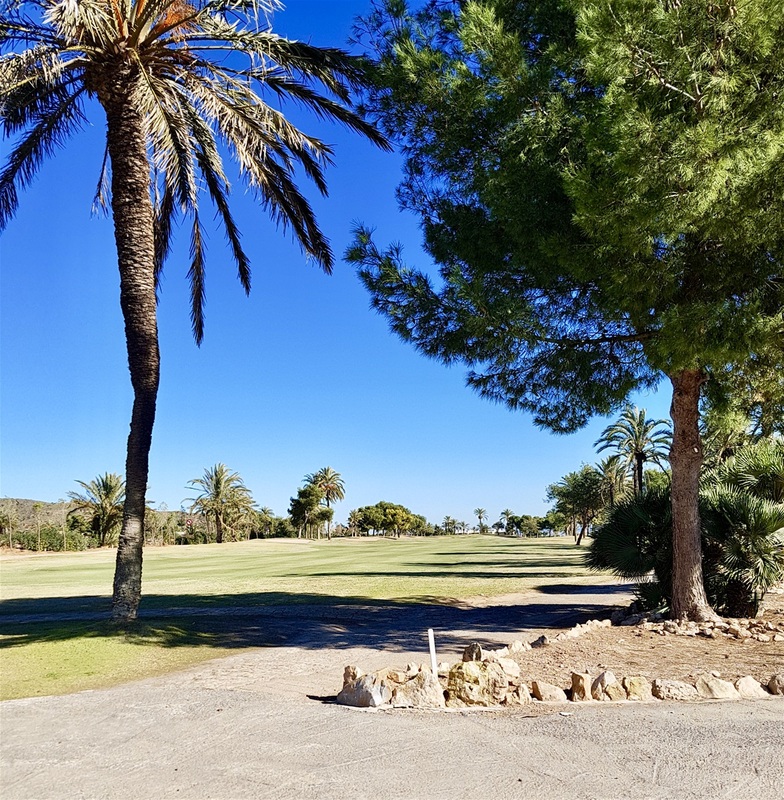 Our friends are all keen golfers so La Manga, or the area around La Manga, is sheer Heaven for them. Playing golf in the sunshine, on perfectly manicured courses, no waterproof clothing, no drizzle of rain down the back of your neck, well, you get the picture. 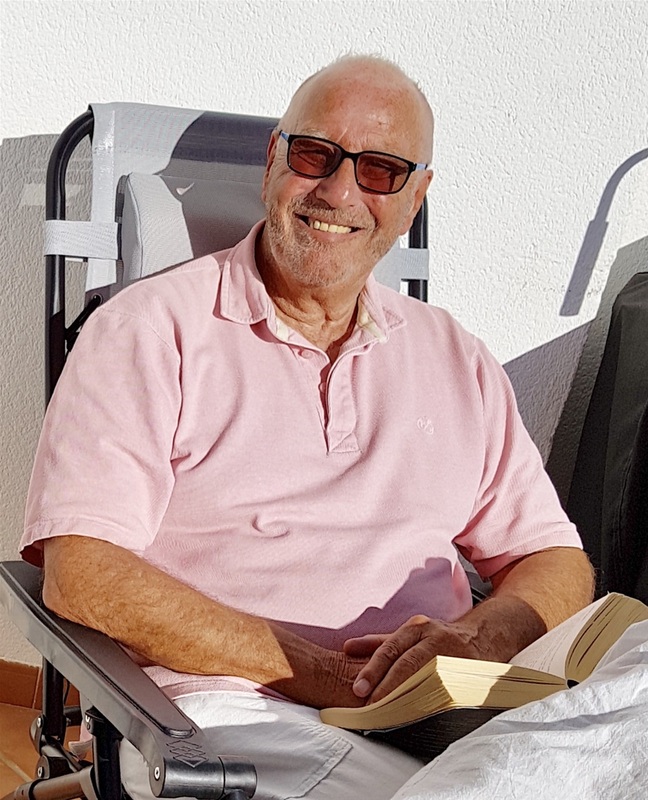 We talked of the old days, as old friends do, and congratulated ourselves on still being alive, as all of our old friends seem to do with great regularity lately as news breaks of one of our rather more famous contemporaries popping their clogs! Those shining examples of good diet, healthy living and treating one’s body with respect: Keith Richards and Iggy Pop are still alive and kicking. Very much so. As is Shane MacGowan who turned 60 on Christmas Day. I first saw the Pogues, then still called Pogue Mahone (the Irish for ‘kiss my arse,’) perform live many years ago, before they were ‘famous’ and thought even then their lead singer’s life expectancy would be reckoned in months, not years! Shane MacGowan reaching the age of 60 must be a misprint, surely? Good on yer, Shane. Before leaving La Manga we’d been to Veneziola, at the far end of the Strip, which had been originally developed to rival Venice with a network of canals and some pretty beaches around a housing development. Venice? Not even close. The best part of Veneziola is El Puente de la Risa, a small, very steep, humpbacked bridge where we saw more people than we’d seen all day, driving back and forth over the bridge and getting out at the midpoint to take photos. Great fun. For five year olds! We drove over, looked around, drove back like grumpy non-tourists. One of our number walked back up to the mid point and took a photo then jogged down again and on his return was rubbing his (recently replaced) knee joints ruefully. Serves you right, we all said with unbearable smugness. 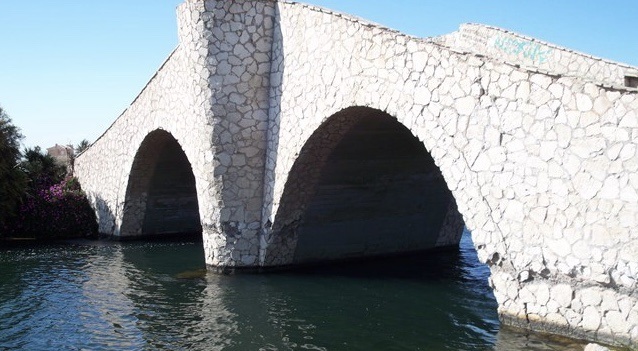 El Puente de la Risa has only recently been reopened to the public following a repair and renovation project which cost 90,000 euros. Seems a lot of money for what was already a working bridge. 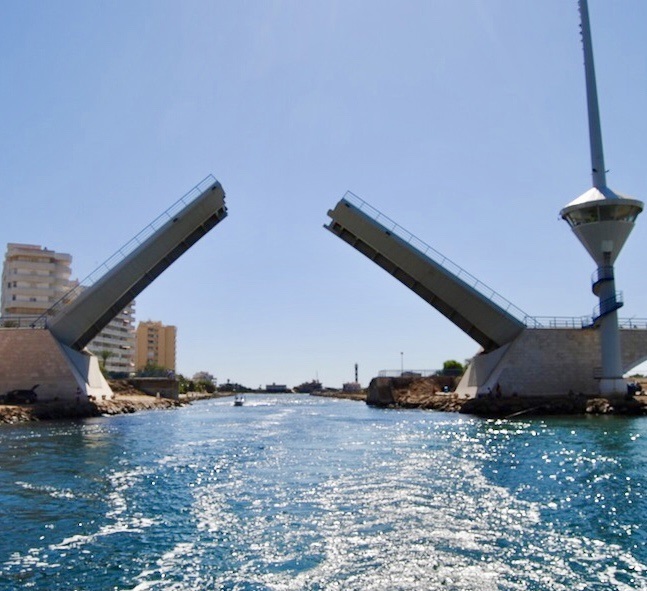 There’s another bridge on La Manga, a rather more modern one, like a mini Tower Bridge in London as it splits in the middle to allow tall masted boats to pass from the Mediterranean to the lagoon and back again. It opens every two hours, but we managed to see it open on the way back. A sign says maintenance of the bridge, El Estacio, costs 116,651.62 euros a year. Bridge repair and maintenance seems a good trade to be in around here. Even the rather posh La Manga Club was disappointing this time. Very security conscious, which is fair enough, but made it all feel very remote and off putting which is surely out of kilter for a Resort. We pressed on, back to just the two of us by now, and headed for beaches to cheer us up. We like beaches, for looking at and walking on, but never as places for lying on all day in full sun. Today we enjoyed Isla Plana, a small village in the eastern half of the Gulf of Mazarrón with a lovely uncrowded beach, La Azohia and Mazarrón itself where we’ve been many times before. Not quite enough to banish the disappointment of yesterday, but a decent effort. No idea what’s in the jar, but Marigold likes them. The ‘small sea’ salt water lagoon. Just a tiny bit of it. G didn’t order this. A free sandwich. Think the cafe lady thought he looked under nourished. Specsavers?